Let an image form in your mind’s eye of a web, the delicate filaments intricately connected, each one vibrating in response to the smallest movement on any part of the net. We know this image from the wisdom traditions, like the Buddhist sutra that describes Indra’s Net as a vast, jeweled web suspended in the heavenly abode, the essential structure that supports all of life. Quantum physics mirrors this ancient teaching in scientific terms, revealing that the universe is interconnected in much more subtle ways than previously realized. And perhaps when we wander deep into nature and see the roots of trees growing into a stream and the leaves tipping upward to be nurtured by the sun, it is easy to recognize the way that life self-organizes into a functional, interdependent whole. When we are quiet and open, some part of us, down in our bones, simply feels the truth of our connection with all of life. 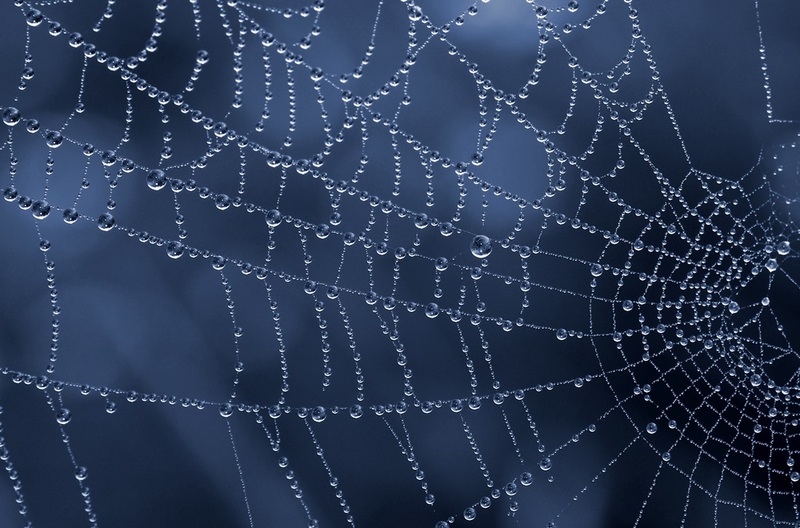 While this web is an inspiring image and philosophically profound, it is essentially practical. Maintaining an awareness of our interdependence can guide our day-to-day choices in being part of something larger than ourselves. As we recognize the living connections between ourselves and all other life forms, we begin to discover our role within the potential of a larger reparative movement, a vitally needed shift toward an eco-harmonious way of living. This is becoming clearer as awareness grows regarding where our food and clothing comes from, and how to maintain, recycle or upcycle items to reduce waste. But our practical interdependence is an even more subtle and pervasive weaving of energetic filaments. It includes not only what we do, but how we express the gifts of who we are in the world. For example, let’s say an engineer with a speaking phobia who is slated to address a 3,000-seat auditorium at a conference on climate solutions, seeks out a therapist to receive help working though her fears of public speaking. When the lecture occurs, perhaps someone in the audience is moved to offers a contract to the engineer to install renewable energy devices, and another audience member is inspired to mobilize an effort to green their workplace. The person who records and posts the video of the talk so it can reach an even larger audience plays a key role, as does the marketing and graphic design staff who helped sell the tickets, as does the spouse who prepared lunch and offered loving encouragement to the keynote speaker. Perhaps someone smiled at a stranger entering the auditorium, unknowingly helping them to shake off their mental distractions and be more receptive and present during the talk. The engineer, therapist, videographer, graphic designer, spouse, and strangers lives are linked, all offering vitality to an eco-harmonious web of change. Being part of meaningful change does not require grand gestures. It arises from being deeply who we are and growing into a visceral understanding of the honor of being human. The sparks of inspiration expand through the connecting threads and into the hearts, minds, and actions of many as we show up and be truly who we are. Life thrives on diversity, and this world, this life we all share, needs artists, homemakers, scientists, economists, activists, parents, educators, indigenous wisdom holders, writers, architects, students – all of us. Take a moment now to consider some of your gifts and qualities, feeling your place in the family of all things.